Chimayo Pillow. 18Xl8. 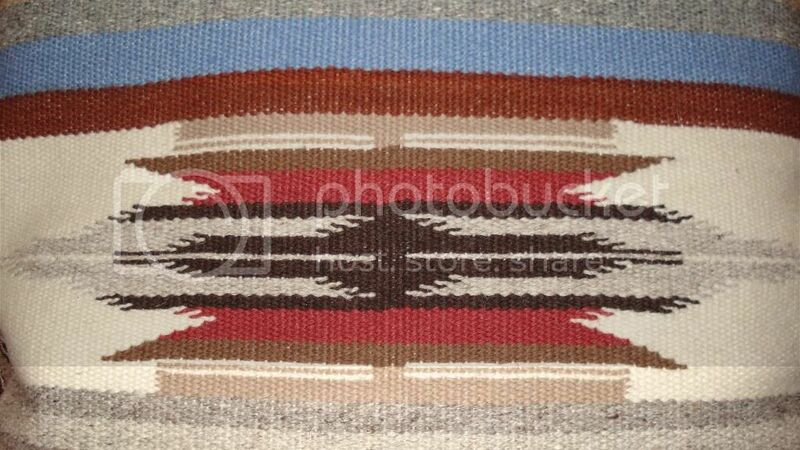 Handwoven Chimayo, New Mexico textile face. Tones of sienna, chocolate, saddle, tan, blue, and naturals. Backed with faux distressed leather and corded with chenille.Classic styling. Handmade in New Mexico. Dry clean,low moisture. Weaving is 100% wool.